Whether you’re a professional design engineer, an electrical engineering student, or an electronics enthusiast/hobbyist/maker, it pays to never stop learning. Fortunately, this is the information age and there’s no shortage of resources available to learn about electronics design. There are many other great electronics design resources available and we thought we’d share a few of our favorites. Printed Circuit Boards today face an ever-increasing demand in capabilities including high speed, low weight, higher component density, miniaturization, and more. Multi-layer PCBs can help meet those increased demands. A multi-layer PCB is created from two or more PCBs stacked together, although they are not simply laid one on top of the other. We’ve written extensively on topics related to ensuring that the PCB manufacturing process goes smoothly, but today, we’re going to take a higher-level view of the process, from idea to ready for manufacturing, and offer up our recommendations on steps to follow to ensure the desired outcome is achieved. 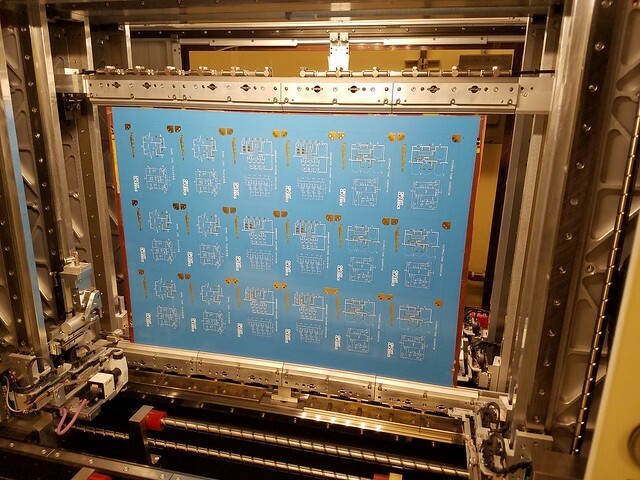 As PCB aesthetics continue to grow in importance, we’re manufacturing more designs with specific fonts and graphics as a part of the PCB’s silkscreen layer. But if you’re not following the process we’re about to describe, don’t be surprised if things don’t turn out quite the way you expect! Are You Providing Your PCB Manufacturer With the Correct Files? You’ve completed a PCB design and are ready to send the design to be manufactured. But the file export process isn’t always straightforward, and, depending on the PCB manufacturer, specific requirements may vary. Here are some helpful design file guidelines that will make the Bay Area Circuits ordering & manufacturing process go smoothly. The U.S. Government requires all manufacturers, exporters, and brokers of defense articles, defense services or related technical data to be ITAR compliant. An increasing number of companies are requiring their supply chain to be ITAR compliant based on the use of the end product even though they may not be engaged in the “export” of the product or its technical information. Essential to the success of any printed circuit board (PCB) manufacturing project are the detailed notes included in the fabrication drawing. While the design files (typically Gerber or ODB++) contain the most basic structure and outline of the board design, it is the fabrication drawing that tells the manufacturer the specific details about a board that make it unique. The PCB manufacturing process is complex. The precision of the manufactured PCBs hinges on many things, but none more important than accurate and complete manufacturing or design data, most often Gerber files. A wide variety of PCB design software applications are used to produce manufacturing data, and the complexity of each design can vary significantly. There’s no doubt that we, at Bay Area Circuits, get to work with some very talented individuals working on some pretty incredible projects. Star Simpson is one of those individuals and Circuit Classics is one of those projects! Star is bringing to life classic circuit drawings from Forrest Mims’ “Getting Started in Electronics” and recently made the designs available via Crowd Supply. Due to the specialized nature of hard gold and soft gold surface finishes, many designers never encounter the particular challenges associated with these surface finishes. As a result, the first build for a hard or soft gold PCB can often be cumbersome and even surprising. Are we experiencing a rebirth of Silicon Valley hardware manufacturing? High volume manufacturing of hardware is not something commonly done in Silicon Valley, with much of that work finding its way to places around the globe. But a large amount of new product development, prototyping and low volume production seems to be firmly positioned in the Valley. Rogers Material: Right For Your Next RF Project? With the increase in mobile communications from cellular phones, IoT devices and more, the demand for special materials in circuit board manufacturing has increased as well. To help you understand your options, we put together a Q&A with Rogers Corporation, a leading manufacturer of engineered materials.